Went to NSU, then to graduate school at the Univ. of Texas (Galveston Medical Center), studied human diseases mostly. While there, met a cute little Texas girl named Suzanne doing research on "premie" baby nutrition. We decided to marry 20yrs ago (on "Our Gang's" 10th reunion weekend). Eversole and Salisa blessed our marriage w/ song & piano. 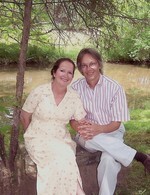 We now live in NW Arkansas (UofA) as does my brother Jeff, and have been here ~18 years. I'm still doing research at the university; Suzanne wears several hats at a biotech company (safety and analytical chemistry stuff) as well as run a small business on the side. But, what we enjoy doing mostly - gardening, coaching, playing music, getting together with family/friends/food, travel, scouts, church/school activities. Y'know, living vicariously through our kids. We've also spent much time on the sidelines of various sports fields yelling, if you know what I mean. I am not at all surprised that we are all about to witness the best high-school reunion in the history of Oklahoma, (overachievers!). Much praise goes out to all of you on committees. Thanks for all your good work, you're fantastic! Once again, Our-Gang does it up big!! 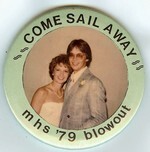 -Hard campaign against Cheryl Harlin '79 (she threw out bubble gum), how to top that!? -Studying Physiol. all night with Salis' et.al. David A. Horlick has a birthday today. Our boys - (Jaycob, Kaleb, Tannner and dog) Kaleb's new truck!